Richmond, BC – Four types dance from around the world will be featured at Colours: A Celebration of International Dance Day in Richmond, BC. There are two days and two ways to celebrate International Dance Day in Richmond, BC this year. Colours: A Celebration of International Dance Day will offer free community workshops on Friday, April 29 and a ticketed performance on Saturday, April 30. “Dance is a beautiful medium with which to express community harmony and collaboration across different cultures and disciplines” observes the event’s Artistic Director, Sudnya Mulye. “Dance can provide a healthy outlet for our creativity while teaching us about the world around us and ourselves”. Free community dance workshops will be held at Aberdeen Centre from 1:00-2:30pm on Friday, April 29. People of all ages and abilities are invited to come together to experience, engage and learn about the world through dance. The performance showcases of four types of dance and truly celebrates culture. 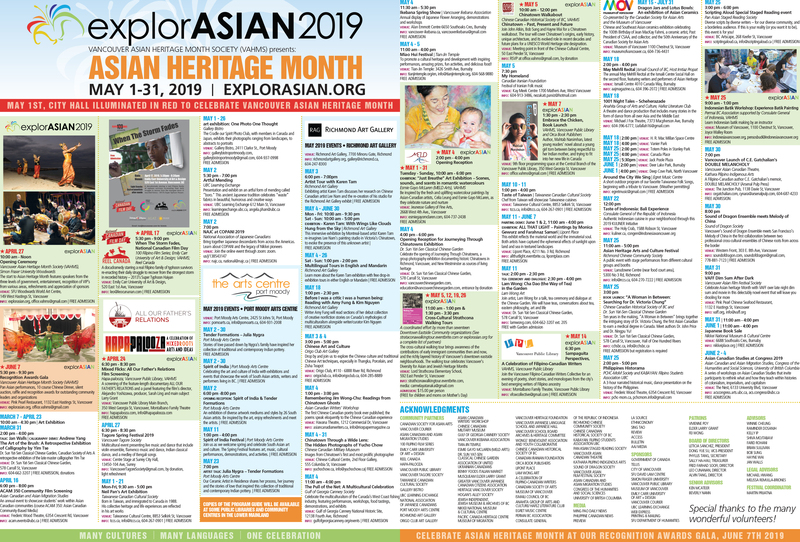 This performance will be on Saturday, April 30, from 2:30 to 3:30 p.m., at Steveston-London Secondary School, 6600 Williams Road. Tickets are $15 for adults and $10 for students/seniors and are available through Eventbrite. Colours: A Celebration of International Dance Day is an opportunity for Richmond-based community and professional dancers, and dance supporters, to collaborate with other local and internationally renowned dancers and raise awareness and honour their art form. “We are so fortunate that our business community not only appreciates the arts in Richmond, but also supports it” comments Mulye. Colours: A Celebration of International Dance Day is presented by Sudnya Dance Academy, Clarkson Events, TD Wealth, OMNI TV and Quadra Pacific Homes, with support from: Aberdeen Centre, Ancan Marketing, Art of Living, Cinevolution Media Arts Society, Richmond Chinese Community Society, and Richmond Multicultural Community Society. 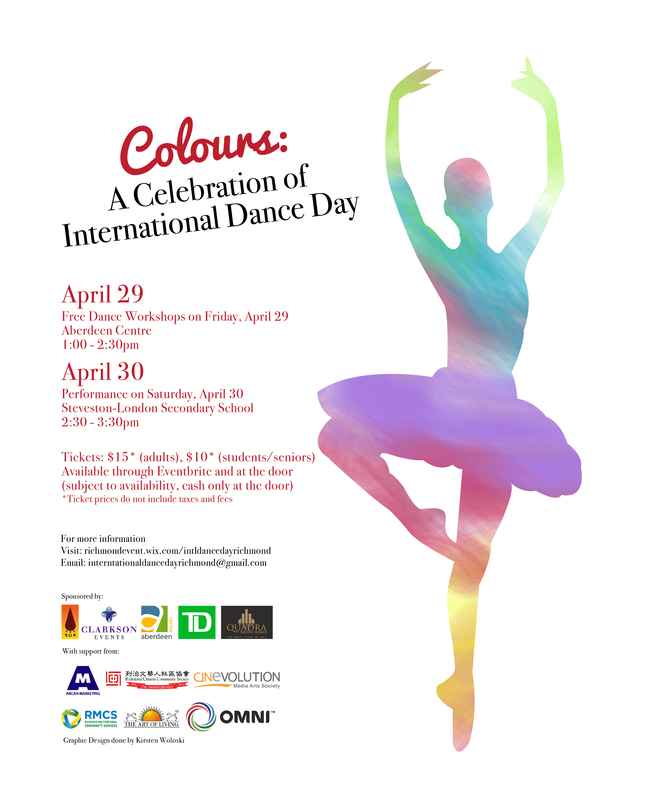 For more information about Colours: A Celebration of International Dance Day in Richmond, please visit http://richmondevent.wix.com/intldancedayrichmond. Tags: dance day. Bookmark the permalink.